On Thursday morning, November 8th at 10:00 A.M. 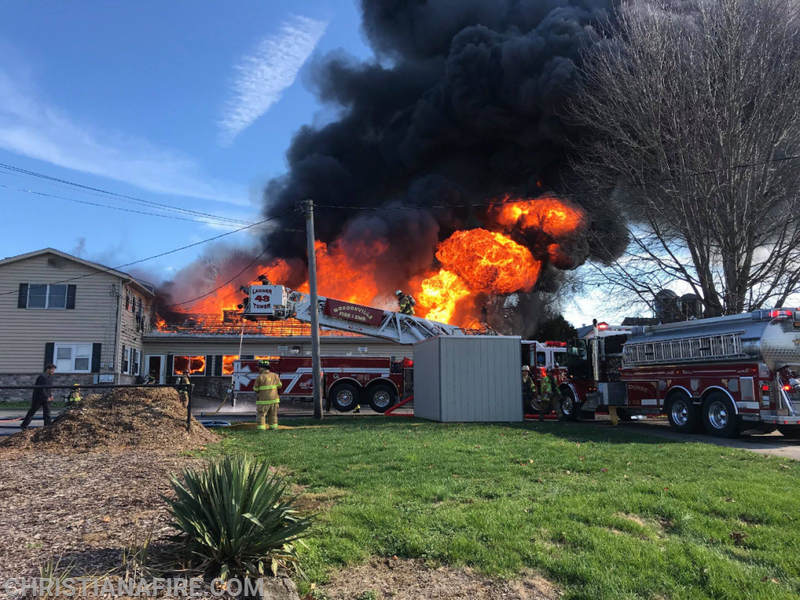 Multiple Lancaster County companies were dispatched for a Commercial building fire at 303 Queen Road in Leacock Township. While in route Chief 47 ( Paradise ) reported heavy smoke/flames from 2 miles out requesting 2nd alarm assignment. Engine-Tanker 52 ( Lt. Swift ) with crew of 5 were dispatched at 10:04. On arrival, the crew went forward for interior fire suppression, while T52 joined the water supply task force. Crews quickly knocked the bulk of the fire by 11:00 A.M. with Engine-Tanker 52 being released at 11:30 A.M.